William Francis Eve was born in Clapham, London, on the 22 September 1895. During his childhood he lived with his uncle, his aunt, their daughter and their assistant. His uncle worked as a grocery provision merchant and his aunt assisted him in the businesses. The family moved to Croydon where he attended school. After school, he moved to Harrow in order to work with his uncle in the grocery business. 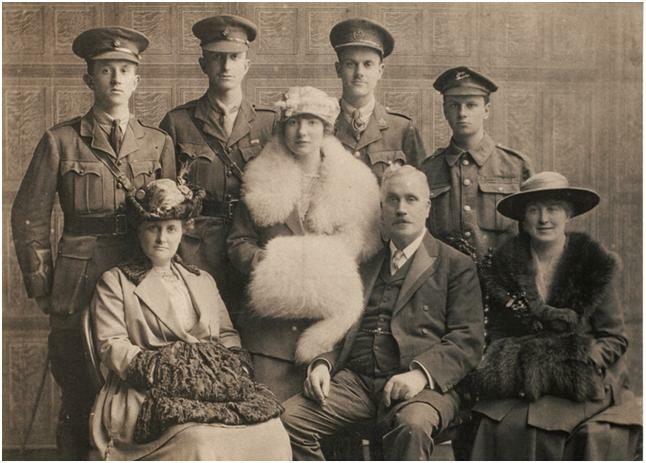 Eve joined the army, aged 19, in August 1914 as a private. 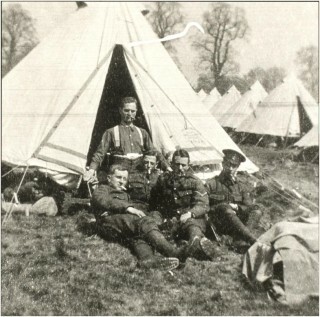 He enlisted with the Queen’s Westminster Rifles at Buckingham Gate in September 1914. On 1 November 1914 he embarked for France, on board the Maidan from Southampton. He saw action in the trenches at the 1st Battle of Ypres and was present at the Christmas Truce of 1914. After a short period in hospital back in England for trench-foot, he was commissioned into the 2/6 Battalion of the London Regiment on 29 September 1915, as a 2nd Lieutenant. From then, he was Battalion Signals Officer and saw action at the start of the Somme offensive in June 1916. 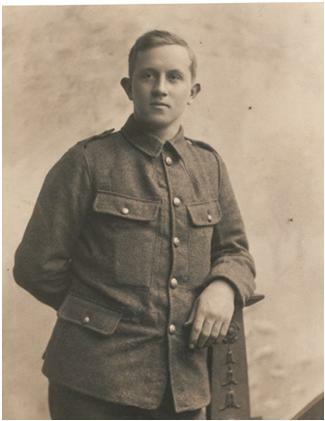 He was invalided out of the army on 29 July 1916, due to epileptic seizures, brought on by the shelling. His three older brothers, Gerald, Jack and Hubert, all in the army, also survived the war. At the end of the war William Eve gained three medals : the 1914 Star (reserved for volunteers before 1915), the British Medal (reserved for British soldiers) and the Victory Medal (reserved for soldiers belonging to the Allies). During the Second World War, Eve was Chairman of the Silversmiths and Jewellers War Production Group. This group manufactured such items as precision-engineered parts for the inner workings of torpedoes as well as parts for aircraft gauges. In his spare time, he was a Special Constable. You can read William Eve’s diary here. Good write up, thank you. However, Grandpa was born on 22 September 1894 (not 1895) and joined up in August 1914, aged 17 (not 19). This page was added on 04/07/2014.